There is ample opportunity to recharge your batteries through sports and cultural activities.  Geneva Academy students can practise a large number of sports at the University of Geneva (UNIGE), on both a recreational and competitive basis. From basketball, tennis and badminton to fitness, zumba, capoeira, golf, handball, hockey, judo, horse riding and climbing, you can discover something new or continue to practise an activity throughout the academic year. If you are interested in the arts, theatre, music or the like, UNIGE cultural activities offer numerous possibilities: classical dance, contemporary dance, engraving, video, photography, creative writing, cinema, electronic music as well as many other courses. The UNIGE Orchestra and Choir also allow students to practise classical music during their stay at the Geneva Academy. Every week the UNIGE Ciné-club screens films on a specific theme or by a particular filmmaker. The Graduate Institute of International and Development Studies’ Ciné@IHEID series and Ciné-ONU also screen films, which are followed by a debate with leading experts. Our students can obtain free tickets to various performances, exhibitions and concerts every week through UNIGE cultural activities. We encourage students to plan the financial aspects of their programme carefully and well in advance, and to explore all opportunities for financing their studies.